In 10-inch nonstick skillet, heat oil over medium-high heat. 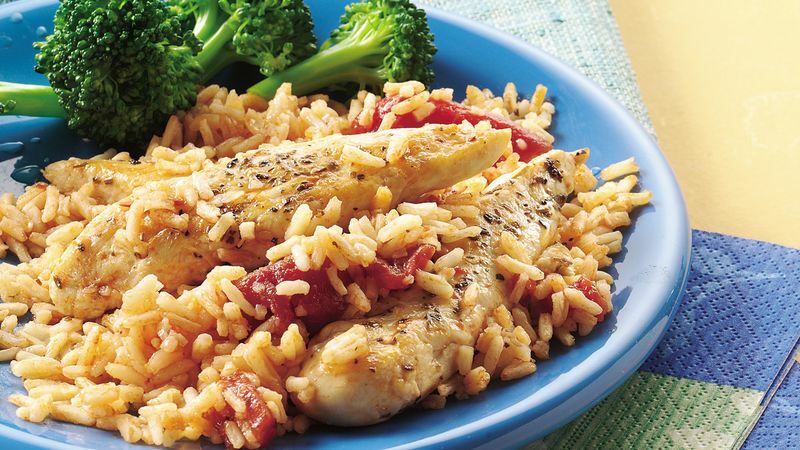 Sprinkle chicken tenders on all sides with Italian seasoning; add to skillet. Cook 5 to 6 minutes, stirring constantly, until chicken is browned and no longer pink in center. Stir in tomatoes and water. Heat to boiling. Stir in rice. Cover; remove from heat. Let stand 5 minutes or until liquid is absorbed. Serve with fresh steamed broccoli and purchased crunchy toffee cookies.